Since the first of October, four immigrants being held by Immigration and Customs Enforcement (ICE) have died of apparently preventable health complications. Most recently, 54-year-old Abel Reyes-Clemente died in a facility in Arizona days after experiencing severe flu-like symptoms. In December, two young children, aged 7 and 8, died after becoming violently ill and being unable to clean themselves. Accounts of poor sanitation and limited medical care in these immigration detention centers have surfaced in recent times. Children's cells include open toilets, no hand soap and no way to drink water except from a tap. Many inmates are left without heating and must endure lights 24-hours of the day. Others have been outright denied medical care until it's too late. This is unacceptable. These are people who deserve to be treated like human beings – and right now they aren't. 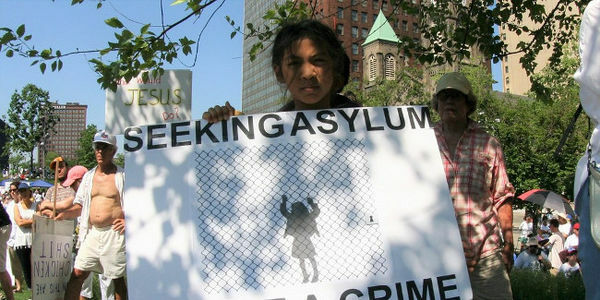 Add your name to this petition to call on incoming DHS Acting-Director Kevin McAleenan to take the necessary steps to audit immigration detention facilities over their hygiene practices and to ensure all detainees have access to medical care!